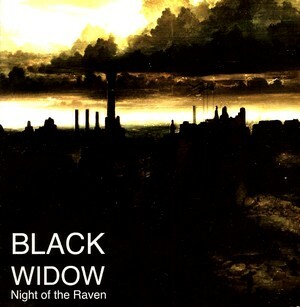 Black Widow, not to be mistaken with the 70’s British psych rock band, is the solo side project of Robert MacManus of Melbourne’s Grey Daturas, Robert also runs Heathen Skulls. Actually the person writing this blurb right now is Black Widow, hi how are you? I also dabble in freelance writing and stuff like that. So anyway, devised as an outlet to explore more striped back guitar improvisations, Black Widow has slowly but surely morphed into an improvised really that has now expanded far beyond the limitations of my mind, or my guitar to be more precise. Recent recordings, like Night of the Raven, has seen me experimenting with percussion and effected voice whilst other recordings, like the 2 collaborations albums I did with Blarke Bayer, have seen me noodling with prepared piano and various forms of wind instruments. Cet article, publié dans Ambient, Noise, Rock, est tagué Black Widow, Drone, Heathen Skulls. Ajoutez ce permalien à vos favoris.